As always, BioLite created a very practical and durable product that can serve you when you’re outdoors. Here at jebiga, we are proud to feature those type of products, especially as useful as the BioLite KettlePot. BioLite KettlePot ‘pours like a kettle and cooks like a pot’. It’s made from ultra-thin stainless steel. When speaking of this material we should mention why it’s so good. It makes the KettlePot very lightweight, very durable, food safe, easy to clean and won’t leave scratch marks. 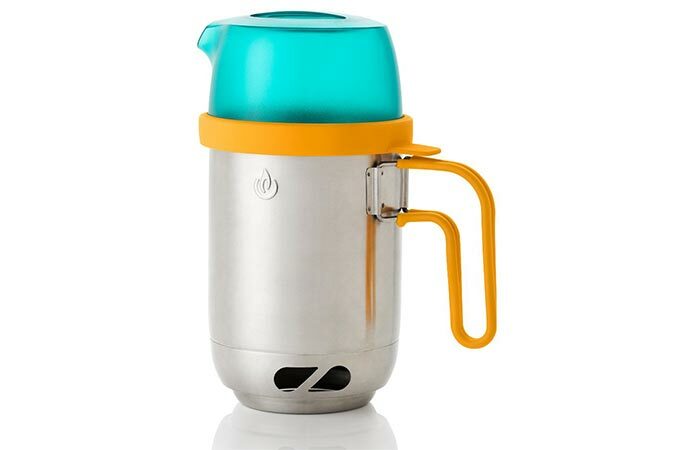 BioLite KettlePot is made from ultra-thin stainless steel that makes it lightweight but very durable at the same time. BioLite KettlePot is a great way to prepare your coffee in the morning, but also to cook or reheat an entire meal. What’s also interesting about the design is that you can use it as a carrying case for your CampStove as it nests perfectly inside it. Not to forget that thanks to its 2-in-1 functionality you can pack lighter. 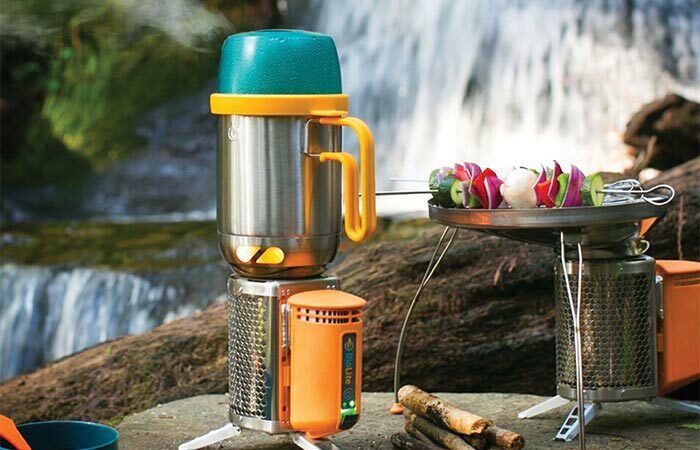 BioLite KettlePot features 2-in-1 functionality, it ‘pours like a kettle and cooks like a pot’. The top is BPA-free and made to withstand high temperatures. You can see right through it so you always know if your meal is ready without having to open the lid to check. The silicone seal is there to ensure nothing gets spilled and the handle is very practical for pouring, but also for attaching the KettlePot to your backpack. 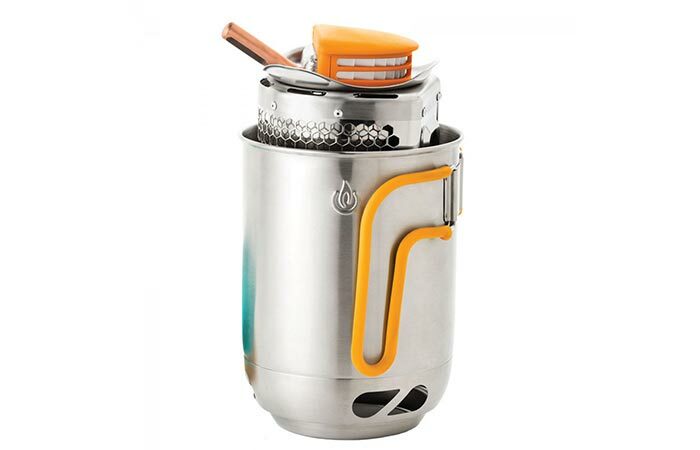 One more thing that makes BioLite KettlePot more practical is the fact you can place your CampStove inside it. It nests in perfectly and saves you space. Also, thanks to the honeycomb heat shield, the flames will get more concentrated and it’s a good way to block the wind. BioLite KettlePot weighs 1.5 pounds and its dimensions are 5.2 x 5.2 x 10.2 inches.